India was built on the success of her integration, its multiplicity and the resilience of its people. Mumbai is its shining symbol. “…Mumbai is a proud city and we pride ourselves on bouncing back from any adversity. We survive and prosper despite all the difficulties placed on us. We are no strangers to terror and have had to pick up the pieces and move on after several attacks. This time however, the sheer scale and audacity brought the city to its knees. The openness of our society, the bustling hordes in our train stations, the vibrancy of our news media, and the thousands of tourists, diplomats, and business leaders packing our hotels was used against us to devastating effect. 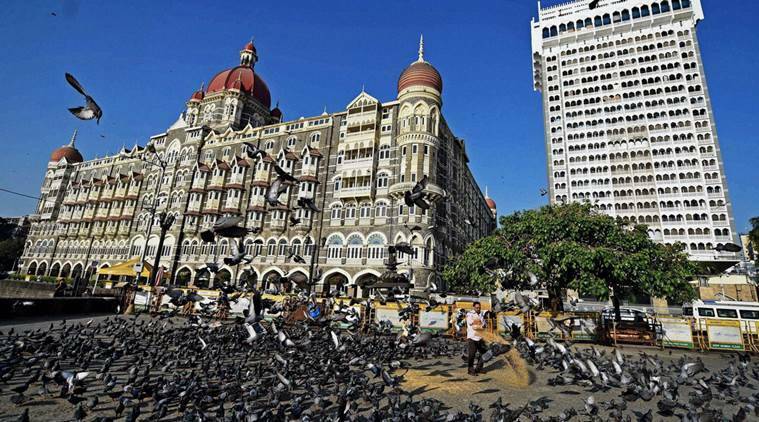 On this anniversary of 26-11, I woke up in despair. Sadly eight years on, we remain no closer to answering the questions that flooded my mind that day. We have no answers to the hate that emanates from next door. Eight years has taught us no grand strategy. Deep inside, we still feel powerless and exposed. We celebrate a small “surgical strike” as a great victory because we fear that we can do little more. If anything, the virus of fundamentalism has grown stronger. If anything Osama, Hafeez, Mullah Omar have won their battle. Trump, Brexit, LePen and the Hindu Sena are proof. The world seems on the brink of a clash of civilisations. The large body of moderate Muslims seem torn between the radical fundamentalists they despise and a world turning increasingly hostile and suspicious towards them. Sadly, in our fight against their hate, we have begun to eat away at our own values and humanity, at the liberal, tolerant world that we hold so dear. I am not an idealist. Perhaps this is a battle we cannot win without amputating a part of our soul. Perhaps one cannot defeat such evil without a grave cost. As I slip into the despair of an early 26/11 morning, an image comes into view from my Marine Drive window – a Bohri lady in her traditional outfit and her shiny new orange Nike sneakers jogging on the promenade, in the background a rickety blue fishing boat halfway through its morning work, an old man doing his yoga on the concrete embankment, and the early morning corporate runners hard at marathon practice. I don’t know what it is about that image – the graceful meld of tradition and modernity, the tapestry of contrasting stories, the oasis of serenity in our deeply hectic town, the motion, pushing forward, getting on with it, striving, surviving. Something about this fills me with hope. We may not have all the answers yet, but surely our great city, our rambunctious way of life, will always trump the forces of hate. India was built on the success of her integration, its multiplicity and the resilience of its people. Mumbai is its shining symbol. We are the city of “please adjust.” Our Gods adjust for commerce and our commerce adjusts for our Gods. Maybe on a day like today, our fear and hate must adjust for hope and resilience. For those will always remain our greatest weapons. 1 What sort of glorified masculinity is the Jack & Jones’ Billboard suggesting? 2 US polls: What is an election, if not an enormous fractal mirror?